So, this brunch is amazing, bottom line. An awesome variety and great quality, it is often lined up out the door on weekends. My personal favourites: Salted Caramel French Toast or the Vegetarian Breakfast Panini. Definitely a must-try. I love the Coup in general, but their brunch is simply delicious. This was my first encounter with tempeh and I loved it! They also have a great variety and even the meat-lovers in my life have loved the all vegetarian/vegan menu. Try the Grilled Treehouse Sandwich. Best part, it’s local and organic! Yay! A tiny space on 4th street. Their avocado eggs benny is amazing. That’s all you need to know. Went here for the first time recently, and it was yummy. They have such an extensive menu it’s hard to choose! It is also a very popular choice and there is almost always a wait. I also love the vegetarian eggs benny here. A new gem in the suburbs, their simple and elegant brunch menu is a treat. They have everything from decadent brioche french toast to a tarragon chorizo hash. 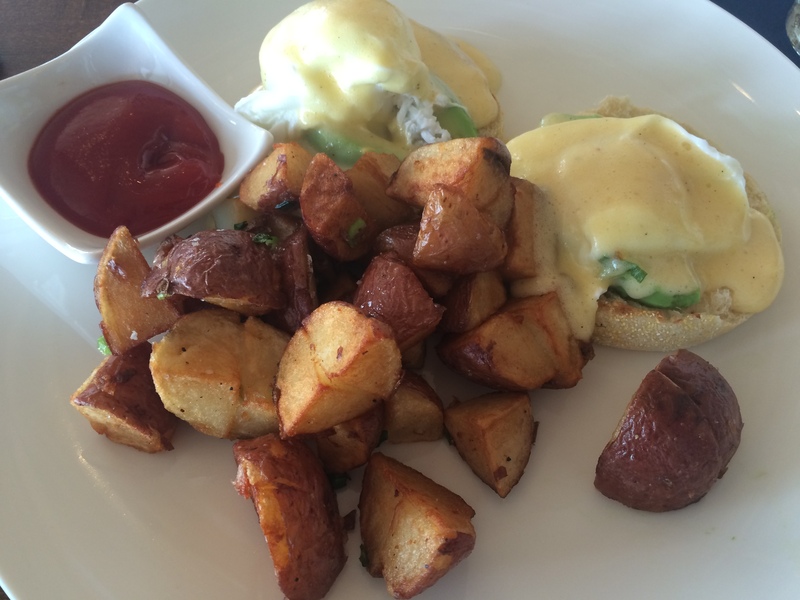 I, naturally would choose the avocado eggs benny – it was delicious and the hollandaise sauce wasn’t too mustard-y. Oh, and their coffee is really good.